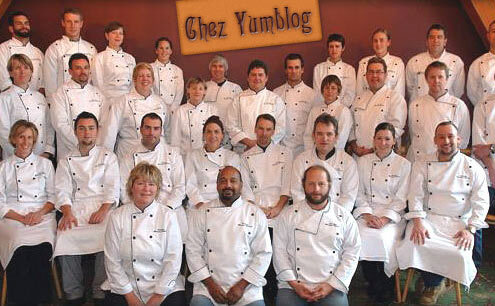 The chefs at our flagship eatery ‘Chez Yumblog’ are always on the look out for new and exciting ways to add the humble, nutritious and CHEAP chickpea to the menu. Consequently there was much excitement in the kitchen when Pascal le Plongeur nervously presented this recipe to the Kitchen Porter, who passed it on to the Commis Chef, who passed it on to the Expediter, who passed it on to the Chef du Partie, who passed it on to the Sous Chef, who finally passed it on to Head Chef Jean-Luc Picard. Pascal was immediately sacked for ‘unmannerly impropriety’ but his dish became a favourite at the ‘Fill your boots for £1.49 lunchtime buffet’. 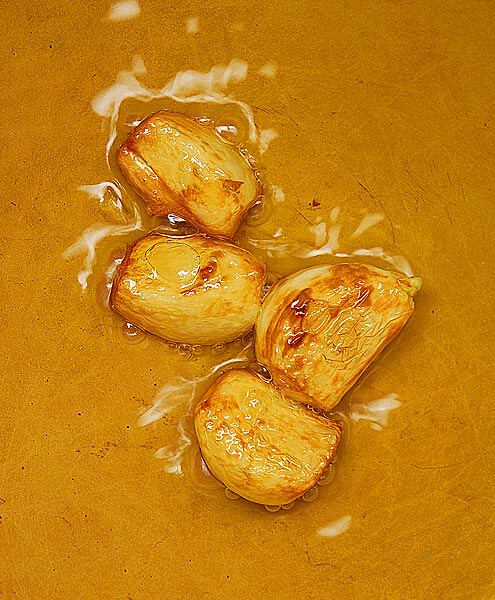 Put the garlic and olive oil in your pot, place on a medium heat and saute the garlic. When it becomes a light nutty brown remove from the oil and discard. 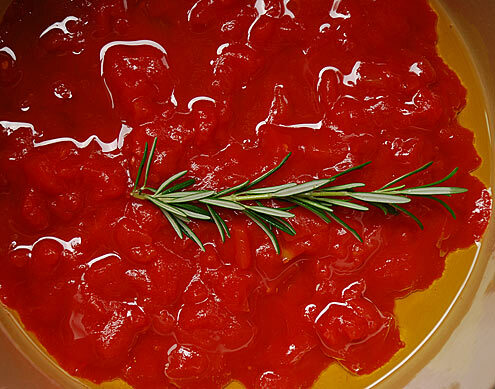 Add the tomatoes and rosemary and cook for 20-25 minutes. 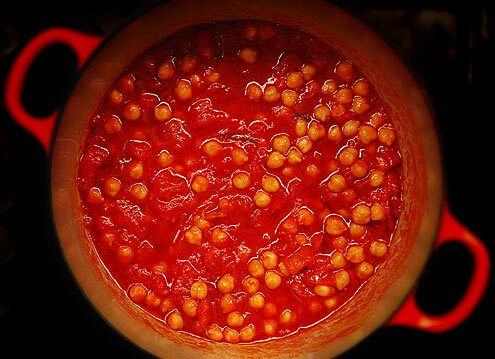 Add the chickpeas, stir thoroughly and cook for a further 5 minutes. Add the bouillon, cover, adjust the heat to a moderate simmer and cook for another 15 minutes. Verdict: A no nonsense bowl of tasty wholesomeness. Entertainment: Far too many reruns of ‘Mock the Week’ and ‘QI’ on Dave.